The term ‘legends’ carries a certain heft. These are the tales that through word of mouth, spanning decades of creative embellishment and artistic licence have taken on such standing that they can only be thought of in terms of what they represent, rather than what they actually mean to the reader. We don’t read legendary tales of yore because of their emotional content, we peruse them because of their mythic qualities – in fact you could argue that one does inhibit the other. The genius of works that attempt to speak in the mythic vernacular is that as their scope increase they take the reader with them. 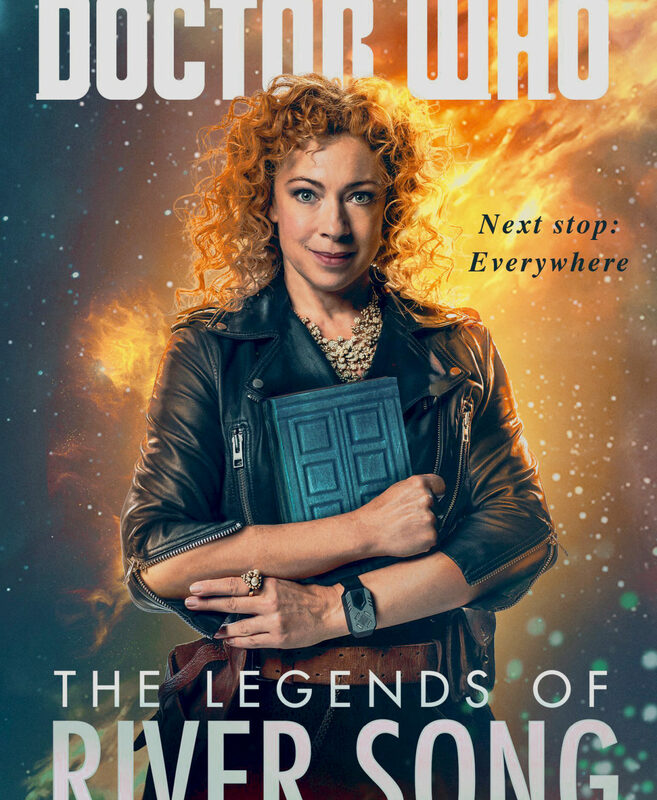 So it’s somewhat surprising that this anthology of River Song tales comes with the moniker The Legends of River Song being as they neither seem to breathe the same rarefied air as those aforementioned mythic tales and nor do they seem to carry more importance than previous episodes or tales to warrant such a term. The clue then might come in the books tag line, paraphrasing as it does, something the Eleventh Doctor once told Amy, “Next Stop: Everywhere”. In this case the legends of the title are afforded such status because of their frequency and spread across the whole of the universe; this may not be our idea of a legendary tale of River Song, but it’s someone or some other planets idea of what a legendary tale might be – which is a very Doctor Who way of looking at things. There was a small part of me that hoped it might be the kind of legend that John Ford told in his 1962 classic, The Man Who Shot Liberty Valance, where the legend of how River shot the Doctor was retold by a booze-addled gang of her foes, each with their own little embellishment – sadly it wasn’t to be. 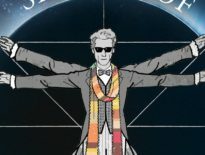 Perhaps the main selling point of the book are the embellishments made by new creators, who, after Steven Moffat relinquished his tight control, have breathed new life into the character through the comic books, Big Finish’s audio adventures and now, this collection of short stories. 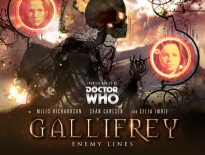 Taking place across River’s timeline each of the five tales are written by authors who are well versed in Doctor Who, and in fact, in Jenny T. Colgan and Guy Adams have written for River before for Big Finish’s recent River revival. It’s Colgan’s tale that perhaps is the most surprising. Taking her cue from a line uttered by River in her first TV appearance, Colgan takes River and the Eleventh Doctor for a Picnic At Asgard – albeit a theme park based on Asgardian legends and, before you can say Westworld, the parks mechanical attractions turn on the spectators. What’s surprising is the secondary storyline which involves River’s concerns about the future of their relationship together. It’s sweet to finally get a glimpse of their across time and space courtship from her point of view, particularly her admiration for the Doctor’s way with children and her vulnerability when she finally drops her mask and shares her feelings with the Doctor. In fact, the idea of her taking him to a theme park – knowing how much he loves them and despite her loathing of them – feels real and it’s a great hook to hang the rest of the adventure on. Even if it has to eventually relinquish the focus on character for a fairly straightforward adventure. Stepping away from an emotionally tinged sci-fi adventure, the next tale, Jacqueline Rayner’s story Suspicious Minds, spins off in the opposite direction with River teaming up with an Auton who thinks he’s Elvis gate-crashing the events of The Three Doctors. It’s a pacy, quick-witted tale with a wicked streak of bawdy humour and its tongue planted firmly in its cheek. Steven Lyons Gamble in Time deploys a Bootstrap Paradox when River intervenes in the life of an ordinary man who will go on to save her life one day at the behest of the Doctor. The story itself is fairly formulaic – if a story featuring giant alien slugs can be such a thing – but it’s told briskly and builds to a satisfying conclusion – even if a ‘dear diary’ narrative convention overstays it’s welcome. The stories then focus on River without the Doctor and these are perhaps the strongest of the set, with Guy Adams Death in New Venice offering us a side of River we rarely see. Rivers own commentary on events that give us real insight into her character and she’s a charming host for what is ostensibly her day job. Charged with creating New Venice, a sort of leisure centre come theme park developed at her exact specifications for the rich and famous, River uses all her wits and cunning to extract people from a life or death situation involving ghostly apparitions with a technological twist. And finally, there’s River of Time by Andrew Lane, which dedicates a large part of its story concerning ancient pre-history races and their place in the formation of the universe, to Rivers life at Stormcage – particularly her relationship with the Governor. It’s a tantalising prospect to see River in her natural habitat and who wouldn’t want to see a futuristic prison tale featuring River Song? 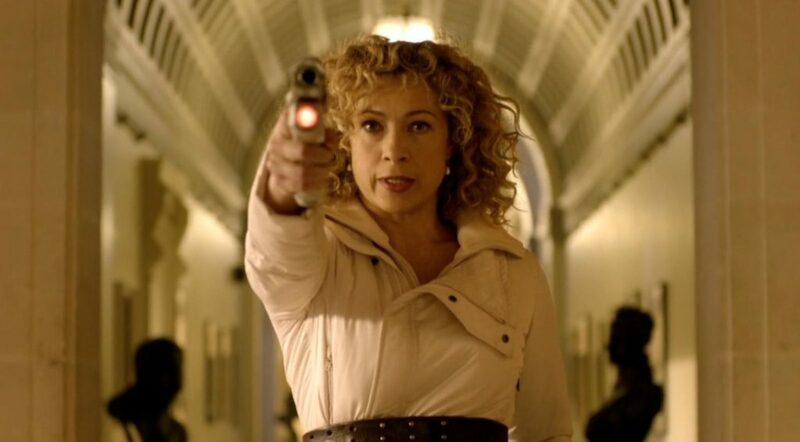 The Legends of River Song is a well pointed collection of tales that despite largely being plot driven and interested in building beautifully detailed worlds, do a great job of capturing the essence of River Song – her commentary is always a delight and opens up avenues that her television equivalent rarely travel down.